The PMO confirmed the signing of a supplementary agreement (SA) between Malaysia Rail Link Sdn Bhd (MRL) and the China Communications Construction Company Ltd (CCCC) following months of negotiations after the project was suspended last year. “We are pleased to announce that the construction cost for Phases 1 and 2 of the ECRL has now been reduced to RM44 billion, a reduction of RM21.5 billion, from its original cost of RM65.5 billion. “Further details of the improved deal will be provided during Monday’s press conference,” the PMO said in a statement. 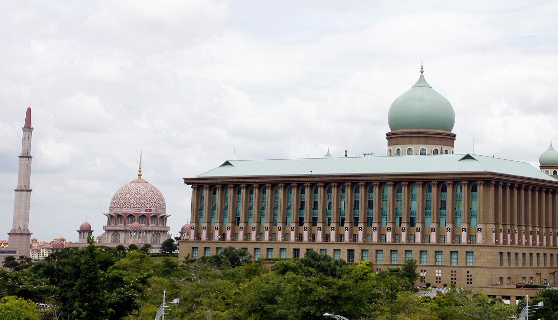 The cost reduction is expected to ease the government’s financial burden, with sovereign debt currently about RM686.6 billion or 50.8 per cent of the GDP. The PMO said the SA covers the engineering, procurement, construction and commissioning aspects of the ECRL project. The prime minister’s special envoy Tun Daim Zainuddin, who had been tasked to negotiate a cheaper price for Malaysia, flew to Beijing yesterday to finalise the deal. Prime Minister Tun Dr Mahathir Mohamad is expected to attend the second Belt and Road Forum in the Chinese capital, which starts April 26. The Pakatan Harapan government had suspended the ECRL when it ousted Barisan Nasional in the general election last year due to its high cost. The 688km rail project is to connect the east and west coasts of peninsular Malaysia across he Titiwangsa mountain range.